#2,184 Sweat(y)er Weather. – Laurel Mercantile Co.
Now reading: #2,184 Sweat(y)er Weather. So it rained really hard all night and it seemed like this morning when we woke up it was finally cooler outside so I pulled a sweater from the depths of my closet that I’ve worn every year since my mama bought it for me at the St. Augustine, Florida J.Crew outlet in 10th grade. 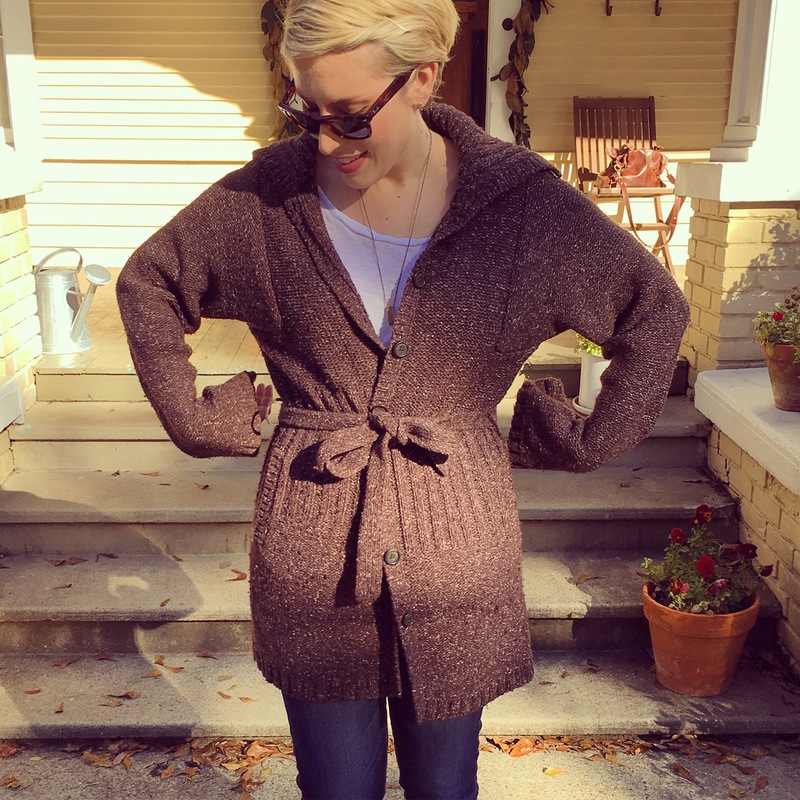 I simply could not live without it because I thought Charlize Theron’s character in Sweet November had such cool clothes and hair and she would totally wear this huge, nubby, chunky brown sweater too. I still love it because it’s like a blanket/bath robe you can wear in public. However, by lunch it was already feeling like late spring again and I was down to my t-shirt by afternoon. Dangit. Which reminded me of this jewel, which made me cackle, so it wasn’t a total loss. #2,185 Cinnamon Rolls + Vintages.